Structural Defect is a german Technical-Death-Metal Band which was formed in May 2003 in Geislingen, south Germany. Their first record, called "It Breeds" was produced in 2004 and is a pretty simple record, which cannot be occasionally compared with their new stuff. 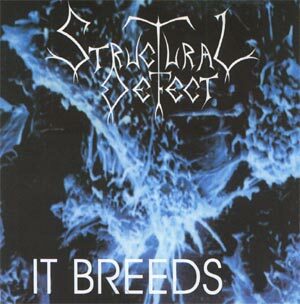 In April 2006 Structural Defect went on a European-Tour with Macabre and Jungle Rot, their newest effort is supposed to be released at the end of 2006.